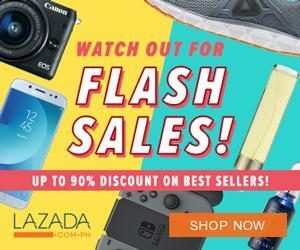 Your Gateway to the Latest Deals, Promos, Coupons, Sale Events and More! 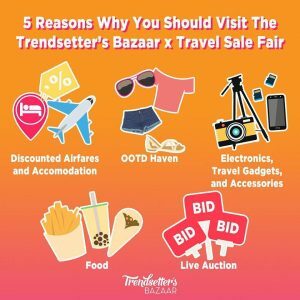 Feed your sense of fashion and adventure at Trendsetter’s Bazaar and Travel Fair Sale! The Holiday is arriving early for jet-setters and trend-setters alike. 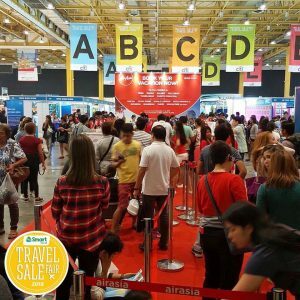 Get ready to travel in style with amazing travel deals and latest pieces from Trendsetter’s Bazaar and Travel Fair Sale 2018. Let everyone swoon over your fine taste in fashion while ticking off your travel list. 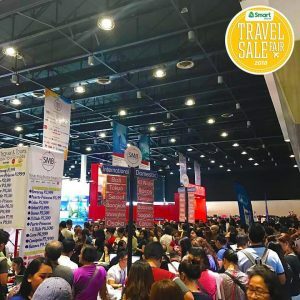 Hit two birds in one stone and head to the World Trade Center in Manila from October 12 to 14, 2018. 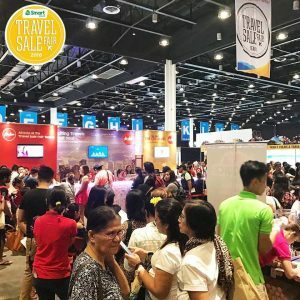 Experience the thrill of the chase for that perfect purchase when you shop for trendy travel OOTDs, discounted airline and accommodations for your holiday travels, travel gadget and accessories on sale and more! 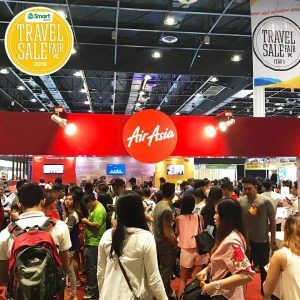 Get dibs on the lowest airfares top participating airline companies! There will also be a live auction during the event! 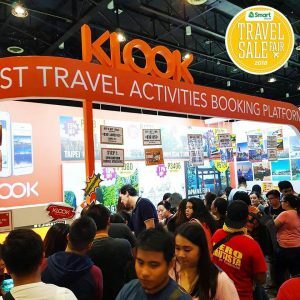 Guests can bid travel destination packages, tour and accommodation deals at the price of your choice. Not to mention the discounts on up to 70% off are about to drop! 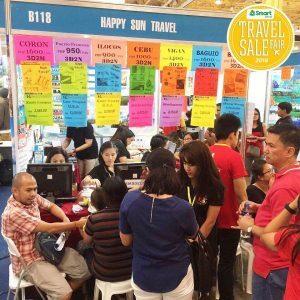 Below is a gallery of last year’s Trendsetter’s Bazaar and Travel Fair Sale to set your mood. The doors to the event are open from 11:-00 AM – 9:00 PM. 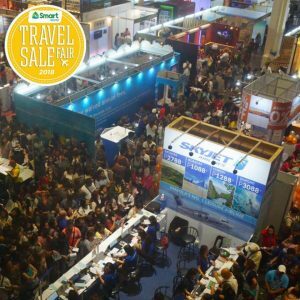 Tickets are sold at Php100 and is available by the entrance of the Travel Sale Fair. So, tag your beshies and get ready for a weekend full of fun shopping, discount, giveaways, and surprises! 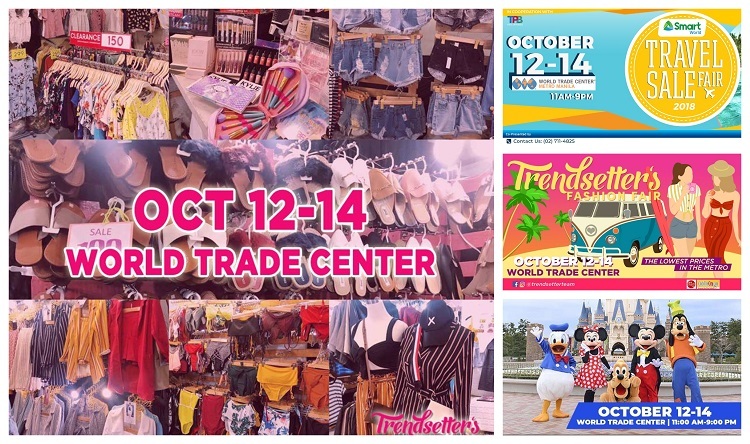 For more details and inquiries, you may visit the official Facebook Pages of the Trendsetter’s Team and Travel Sale Fair Team. Never miss a SALE! Like and Follow us on Facebook, Twitter, Instagram and Google+ to check out other on-going promo, markdown madness and sale events.